Daniel (pictured) struggled throughout school, finding it hard to keep up with the work, and he believed that his learning difficulty would prove an insurmountable barrier to his future career. But sport became an outlet to focus his mind, and playing rugby, football, dodge ball and badminton enabled him to reduce his stress levels and deal with the subjects he found challenging at school. He was then offered the chance to take a Level 2 Fitness instructor course with Lifetime, and he was over the moon! During the course he found himself to be very focused, as he was doing something he was passionate about, and, despite initially failing his practical exam, he persevered, practiced relentlessly and passed second time to achieve his qualification! However, his struggles weren’t over as he couldn’t find a work placement, so he completed courses in Employability Skills and Business Enterprise, to give himself the best possible chance at employment in the future. 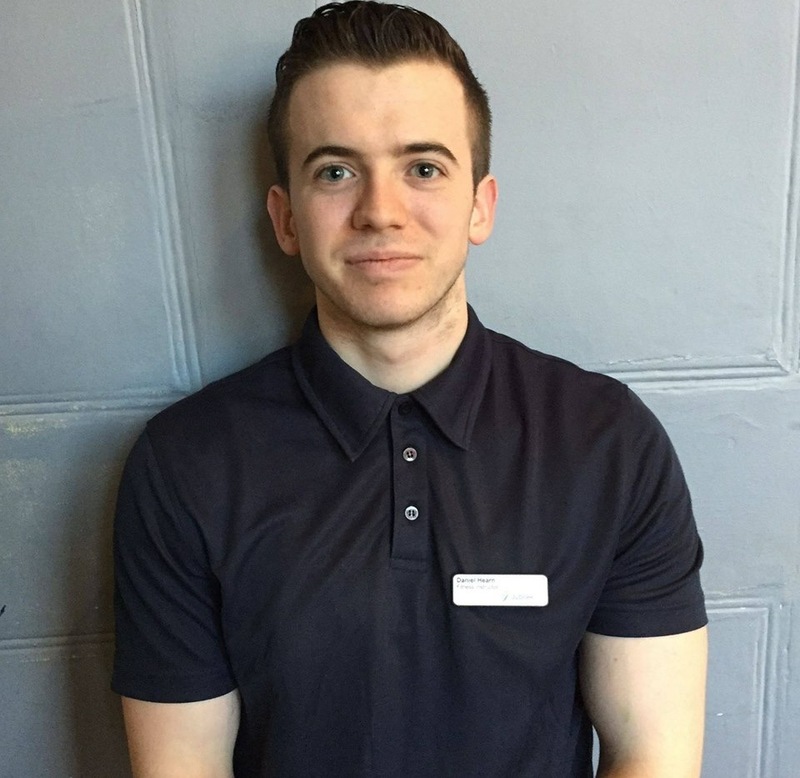 Lifetime then arranged for Daniel to take his Personal Trainer Level 3 Qualification on an apprenticeship work placement, but over the next year, despite applying for almost 100 jobs with all of the major fitness chains and having five interviews, his lack of self-confidence meant that he was unable to pursue it. As Daniel was about to give up, Jubilee Hall called him, as his CV looked impressive and, after a one-day work trial, Club Manager, Oliver Deen, decided to give him a chance. Now, eight months down the line, Daniel has passed all of his theory and practical work so far, and has received outstanding feedback from members, staff and Andrea, his Trainer from Lifetime. Andrea is astonished at how far Daniel has come both in a fitness knowledge and practical sense as well as on a personal level. She believes the club and the support we have given him has helped make him the person Daniel is today. Andrea said: “I have never witnessed a club embrace an apprentice the way Jubilee Hall has. Daniel’s success is a direct result of the support this club has given him”. ‘When I left college five years ago, I had no idea on what direction to take in life and what career choices to make. I had had a small amount of experience in retail, but I couldn’t envision myself in an office or behind a till, and coming from a troubled area, there were not many options for me out there. The pressure of finances was starting to build up, and I needed to help the household. This, along with the area I was living in, meant that there was always that one way out which affected most people of my age, which was to get involved in criminal activities. Fortunately, I found out about the TAG programme which was offering apprenticeships to give people like me an opportunity to make something of themselves, and get onto the career ladder. This then led me to get work experience at Jubilee Hall gym for six months, where I managed to impress my employers over this period by utilising the knowledge that the TAG programme gave me, such as people skills and the drive and motivation to succeed. This combined with the help of the Jubilee Hall team to help me to understand the role of a Fitness Instructor within the business.